A few months ago I received an email telling me about the "World's First Living Cosmetic" which immediately sparked my interest. 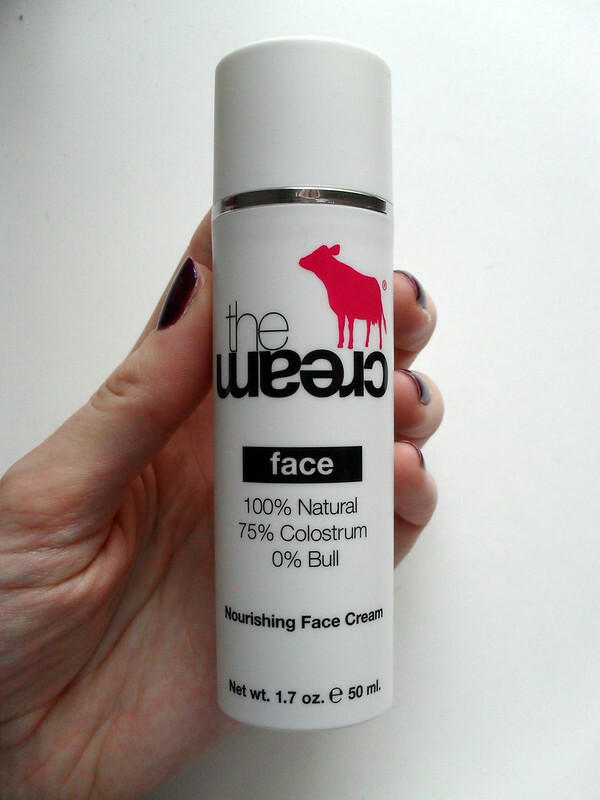 I was invited to meet the team behind The Pink Cow Brand to learn about the revolutionary, 100% natural product, theCream. I met with Denie Hiestand and his colleagues and he told me the story behind the brand and why he decided to spend so much of his time and money developing these products. Denie told me about how he was a natural healer to thousands of cancer patients and recommended his female patients (mostly breast cancer patients, which is where the Pink in the brand name comes from) to just use natural beauty and skincare products. 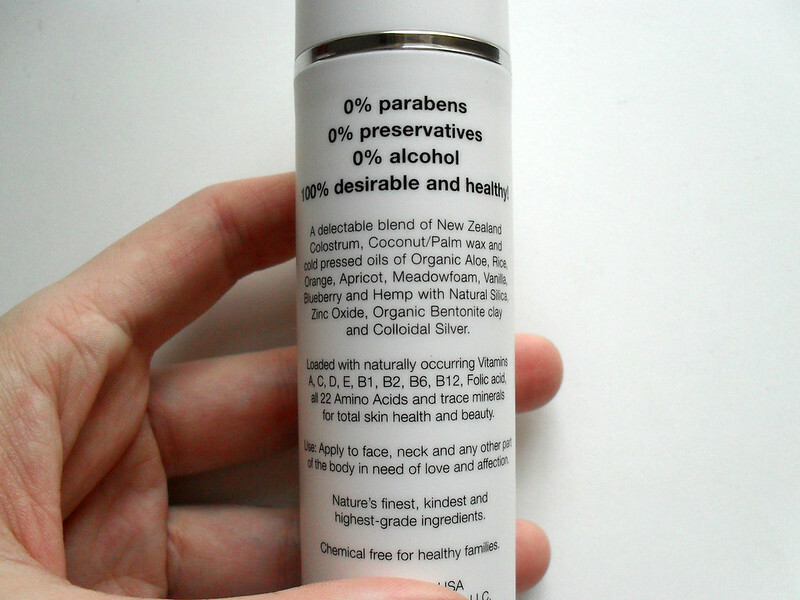 After struggling to find natural products that would replace the ones his patients had removed from their skincare regime, he decided to create something himself as there was a space in the market for natural skincare products that would bring life to his patients skin and would eliminate the use of any products containing harmful ingredients. Denie worked as a dairy farmer in New Zealand and knew about Colostrum, the first milk that all mammals produce in the 72 hours after birth, and it's incredible properties. He wanted to find a way to incorporate this into skincare as it had never been done before. To cut a very long story short, Denie combined his knowledge from working as a natural healer, a dairy farmer and an author and after extensive research, he found a way to harmlessly and ethically collect the excess Colostrum from the cows. Using advanced technology and airless vacuum containers, it is packaged along with numerous other natural ingredients and without any preservatives to make theCream. 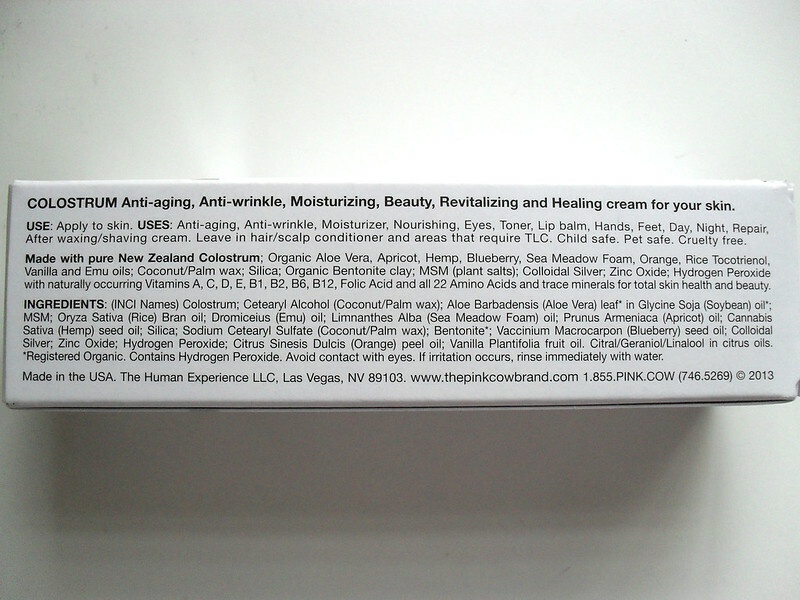 As you can see from the ingredients list, theCream also contains cold pressed oils, naturally occurring vitamins, folic acid, and minerals. Having researched the amazing properties of Colostrum, I personally can see why it is an effective ingredient for skincare. It contains a concentrated amount of antibodies and nutrients that help to protect newborns from bacteria and viruses and kickstart their immune system. It's basically the first and ultimate 'Superfood'. 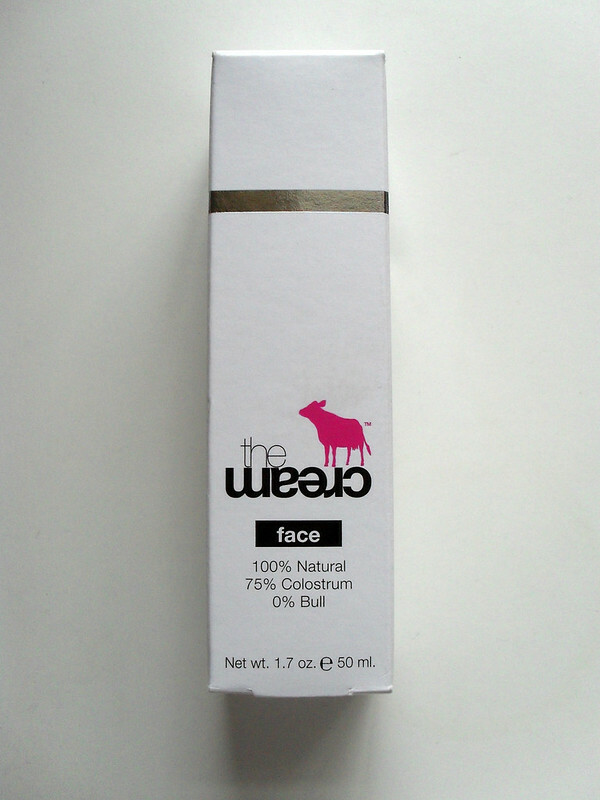 I was given the Nourishing Face Cream which comes in a 50ml size pump bottle and contains 75% colostrum. I used it morning and evening all over my face, neck and décolletage including my eye area (I made sure to ask Denie if it was ok for the eye area and he said it was absolutely fine). It lasted over a month which I was very pleased with. It has a very mild scent which I really loved and the packaging makes it easy to use and great for bringing with you if you're travelling. I used about 2-3 pumps each time, you can use less of the product because it's more concentrated than most other moisturisers and therefore lasts longer. I am a huge fan of natural skincare products, I've seen how well the work on my skin. My skin is usually quite clear but last year I was suffering from constant breakouts and nothing I used was helping. I honestly believe this is what cleared those up because I wasn't using anything else on my skin. 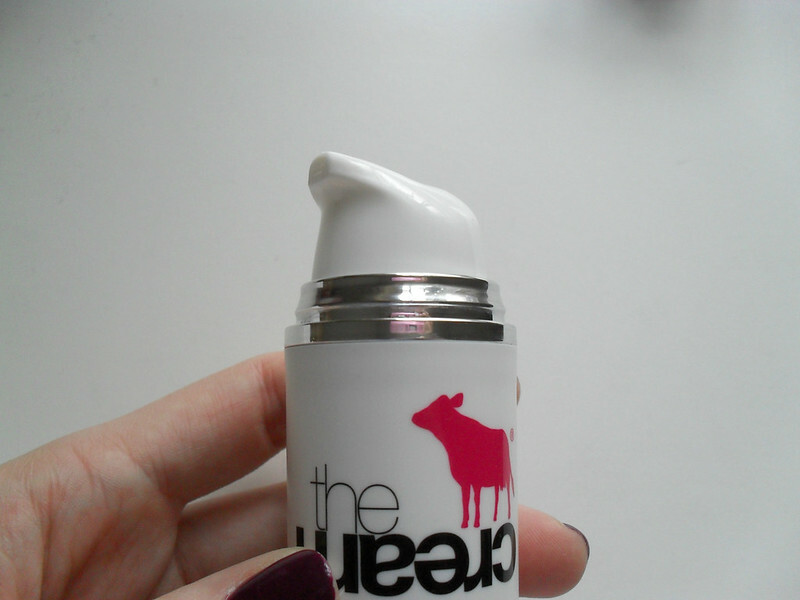 I'm definitely going to keep using theCream in my skincare routine, there is so much good in it compared to other moisturisers I've used in the past. My sister has been using the Repair Cream, a concentrated version of theCream with 80% colostrum, on her newborn baby and she and her husband have both commented on how good it is at reducing redness and irritation, so if any parents are looking for something gentle to use on their children this is a great option as there are no nasty ingredients in it. If you have any other questions, there is a very thorough FAQ section on The Pink Cow Brand website. At the moment, UK customers can order online from Natural Origin. What do you think of natural skincare products? Are you more inclined to buy them? This sounds like it had a really great effect on your skin! It totally did, a noticeable difference which is rare from a moisturiser for me! Sounds like really good stuff Emma!